Keeping our promise, to provide campers with special needs a place to make friends, have new experiences, and learn about GOD's love in new and exciting ways. We have reached our ground breaking goal of $300,000! We have entitled this project, “A Promise Kept,” because it involves a promise between Big Sky and its campers. The promise is that Big Sky will provide a place for those with special needs to learn from the Bible while experiencing new activities, making friends and providing a much needed break for their caregivers. 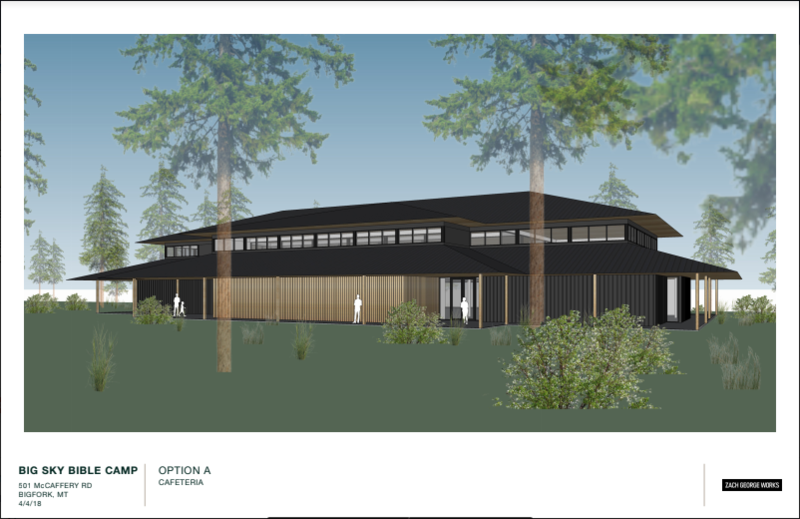 In order to keep this promise, Big Sky will build a facility to meet the unique needs of our campers and provide them with new opportunities. A facility of this scale has been talked of and dreamed of since Camp Promise began in 1990. Our goal is to remember those that society tends to forget. Our promise is also to the countless other campers and adults that Big Sky serves. We desire to be faithful with the ministry God has entrusted to us and we believe that He is leading in this direction. Do They Understand the Message? Read some of director Jamy Landis' thoughts on ministering to those with special needs. Camp Promise, Big Sky’s camp for those with special needs, is currently limited to a two week slot in between all of Big Sky’s other programs. These two weeks are always maxed out resulting in some campers being placed on a waiting list. As a staff, we know there is unlimited potential for a full summer of ministry to those with special needs. 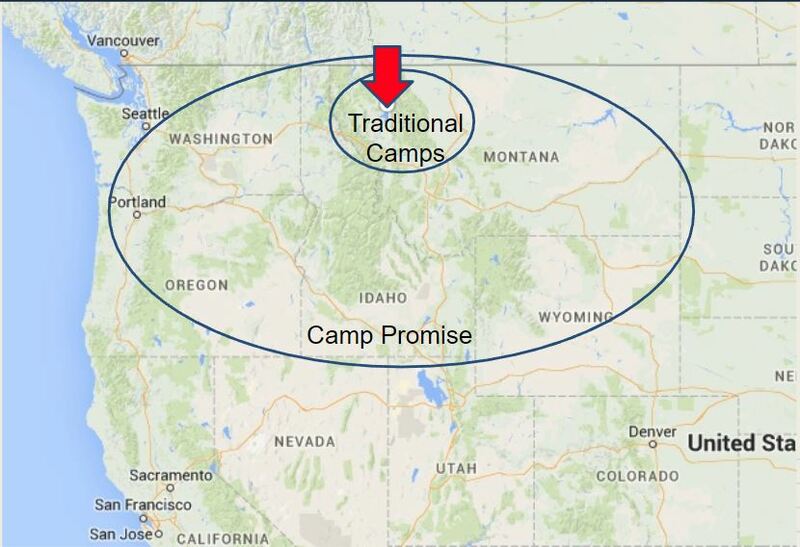 Currently, Camp Promise uses Big Sky’s facility which is 40-60 years old and is not ADA accessible. All of these factors limit the ministry of Camp Promise significantly. During the past few summers, Big Sky has also been turning away an increasing number of traditional campers due to high demand and a facility running beyond its maximum capacity. During the summer of 2017, we particularly felt the need to expand as almost every week of camp was filled to capacity. Furthermore, we are regularly cooking for 150 people in a kitchen and dining room meant for about 40-50. This is a good problem and we are excited about what is happening, but is also evidence that it is time to expand here at Big Sky. 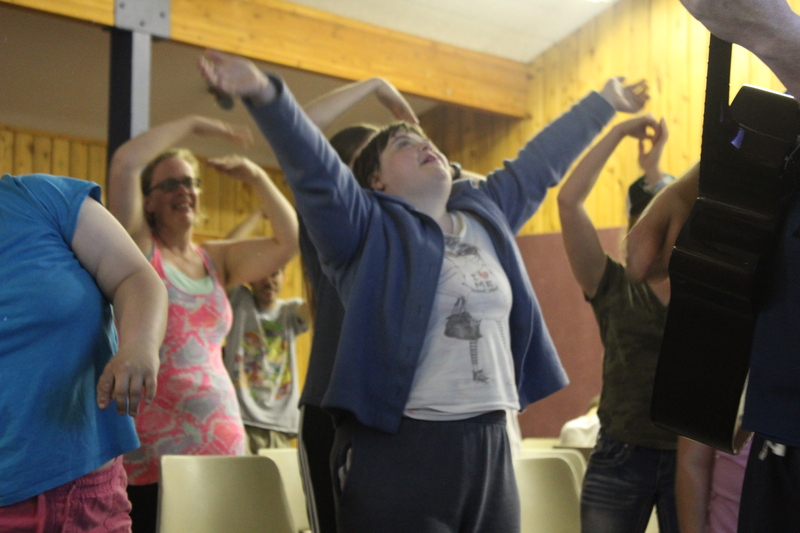 Because there are very few christian camps available for those with special needs, Camp Promise campers come from a large portion of the North West. 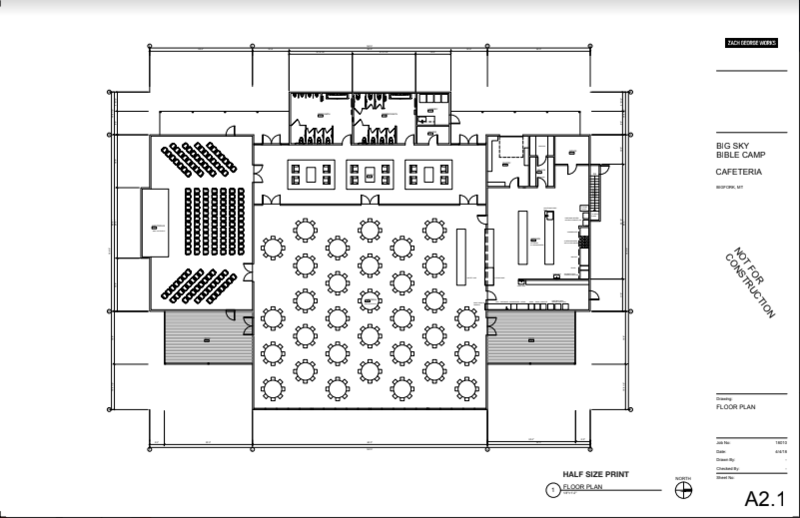 As can be seen by the sketches above, the new facility will include a dining room complex with a full commercial kitchen, meeting room for up to 100, dining room that can seat up to 230 and lounge. It will also include 8 duplex cabins. 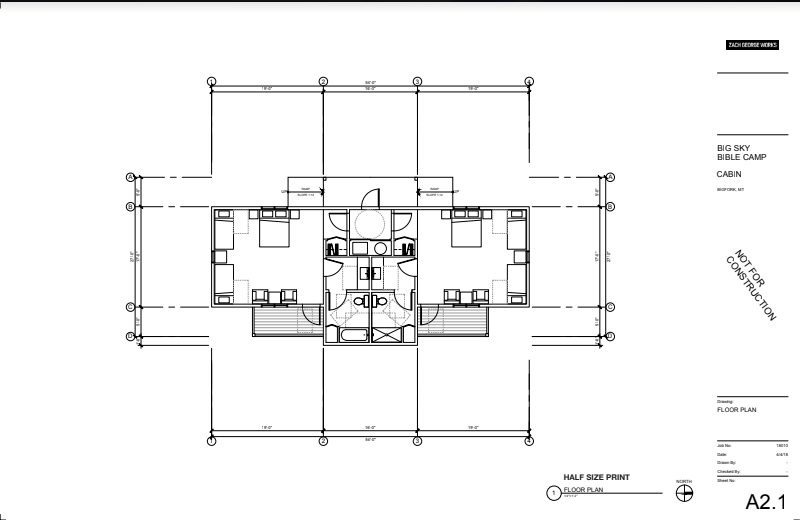 Each cabin will include a queen bed and two sets of bunks. 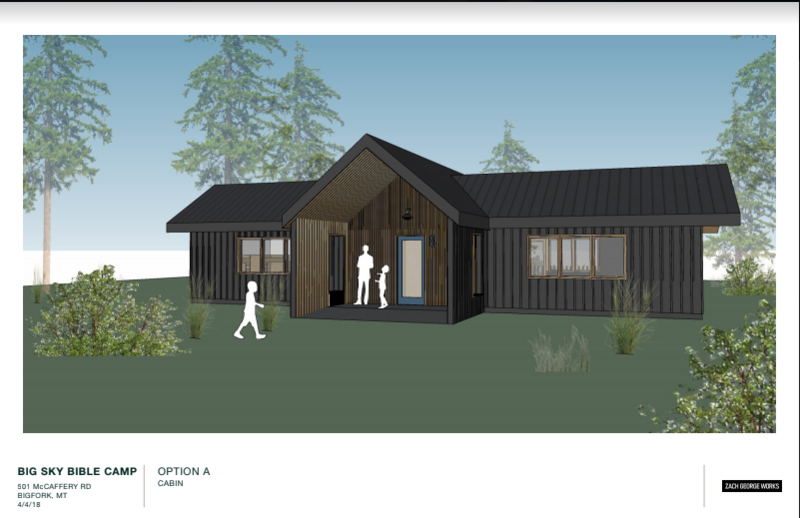 The duplex units as well as the new meeting room will be used primarily by Camp Promise during the summer months. 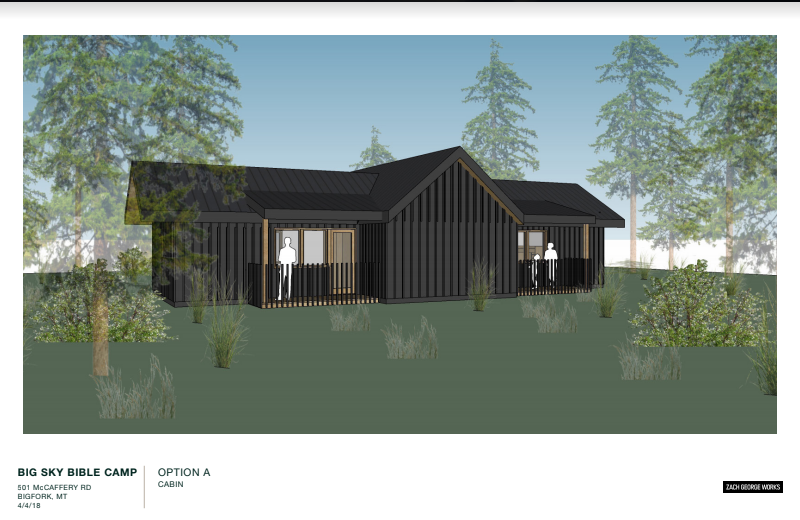 All of Big Sky’s campers will eat in the new dining room with plans for the old dining room to eventually be turned into a snack shop type building. 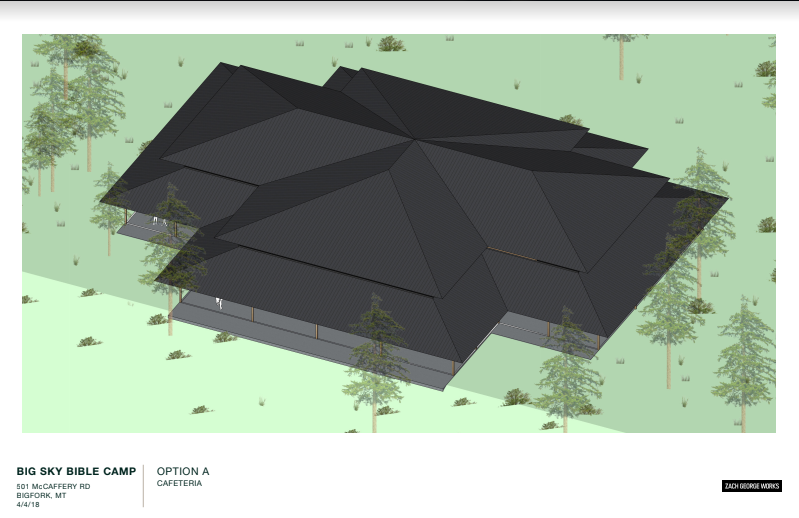 Throughout the year, guest groups will have the choice between renting the new facility, the old or the entire facility. This will allow us to host larger groups as well as two groups simultaneously. This will be extremely helpful as all of the choice weekends throughout the year are booked solid by guest groups. 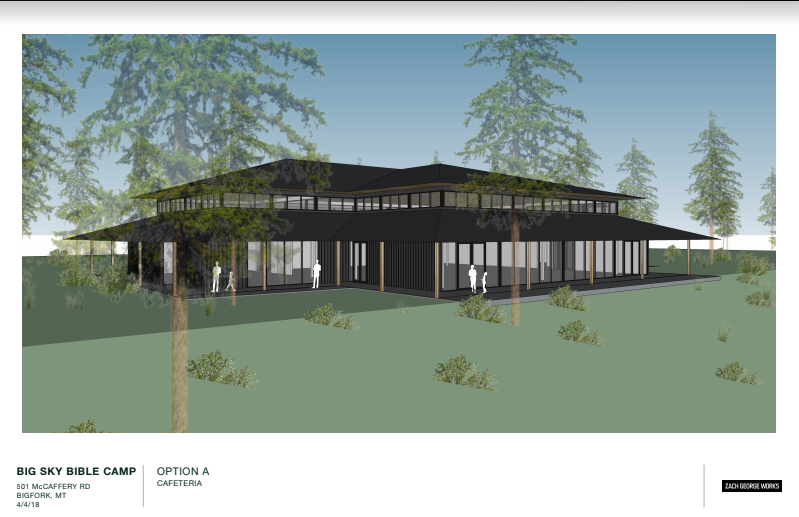 Big Sky has a no debt policy and will be building this facility entirely based on donations and grants. If you would like to donate, please contact us or click the donate tab. If you would like to help us raise funds, please contact Jamy! We have reached our ground breaking goal of $300k. In fact, we have raised just over $400k! 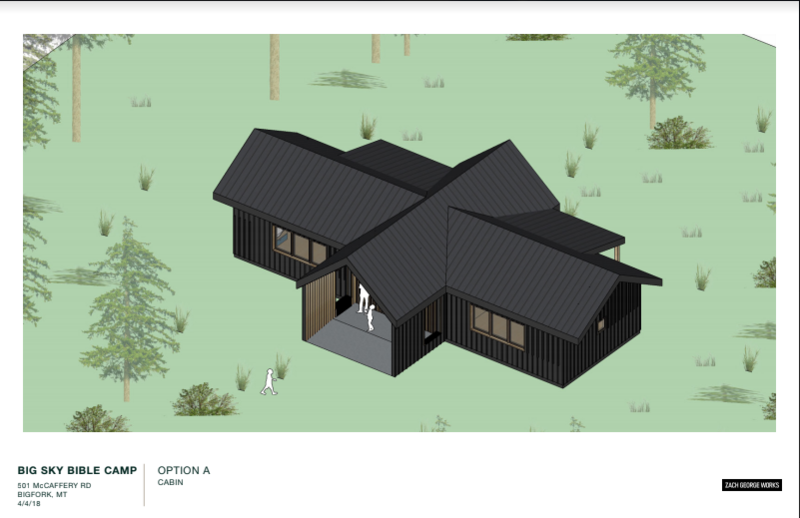 We had new architectural renderings drawn (see above). Once our 40% fundraising goal is met, we hope to be in great shape to receive a grant to push us forward in the project.